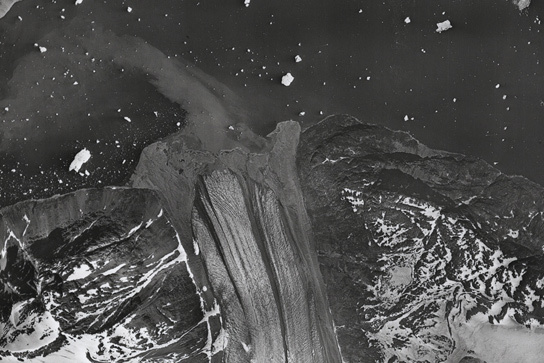 Rediscovered aerial photos of Greenland from the 1930s have allowed scientists to construct the history of the glacier retreat and advance in the area. The photos were rediscovered in a castle outside Copenhagen, Denmark, and they have allowed Anders Bjork and his colleagues to develop a deeper understanding of how climate change has affected the ice loss and glacier movements of the last 80 years. The researchers published their findings in the journal Nature Geoscience.The photos were lost after being classified as secret and locked up in an archive. The shots were taken at different elevations and not perfectly level, so the team had to geometrically correct them so that they had a uniform scale and the same lack of distortion as a map. The resulting images were overlapped with satellites images from the 1980s for comparison purposes. This allowed the researchers to measure distances accurately. Most studies of the world’s glaciers have only been done since the advent of imaging satellites in the 1970s, which implies that this data is short term in the long life of a glacier. 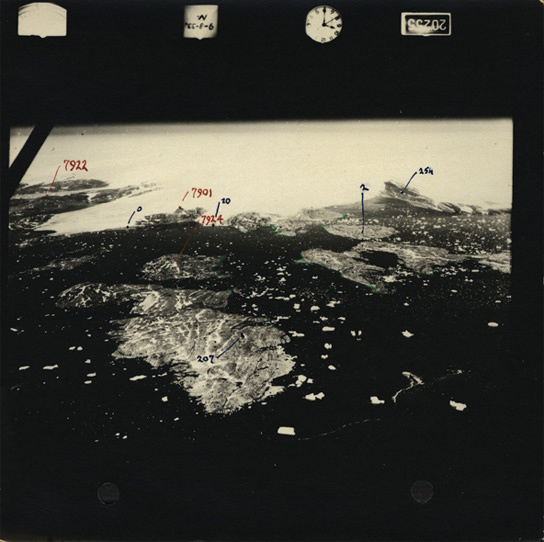 The aerial survey photographs of the southeast coast of Greenland, coupled with some US military aerial shots from WWII as well as recent satellite images have allowed Bjork and his team to observe the changes at high spatial resolution, something which wasn’t possible before. The analysis reveals that over the last decade, the glacier retreat was similar to a period of similar warming in the 1930s but land-terminating glaciers underwent the fastest regression 80 years ago, not ocean-spilled glaciers. 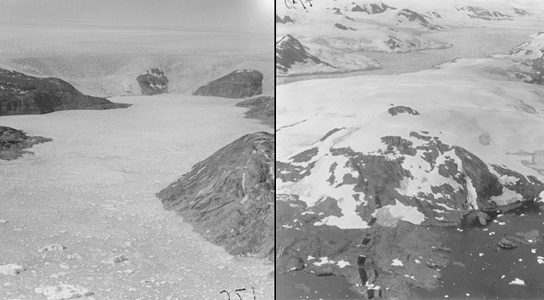 Be the first to comment on "1930s Photos Reveal History of Greenland Glaciers"